My Thoughts: I was super happy to get this book from the publisher because it's pretty rare that I get to review a comic book! Of course as usual all opinions are my own. The whole book was so much fun! I loved the retro comic book artwork. 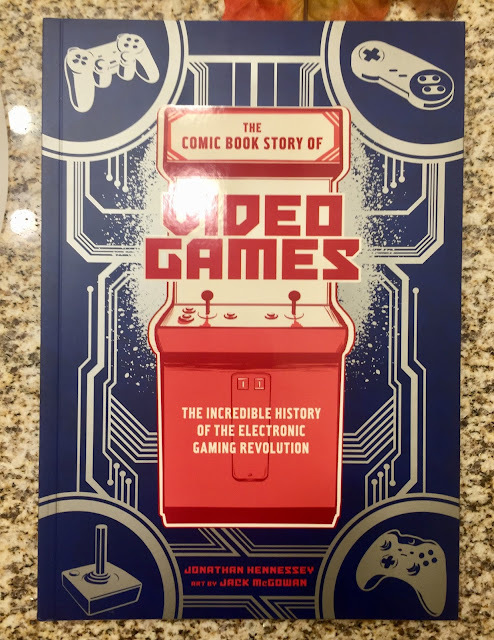 It goes through a history of video games and touches on a lot of different characters in the field. I was impressed with how much that was included and the book was still fun!